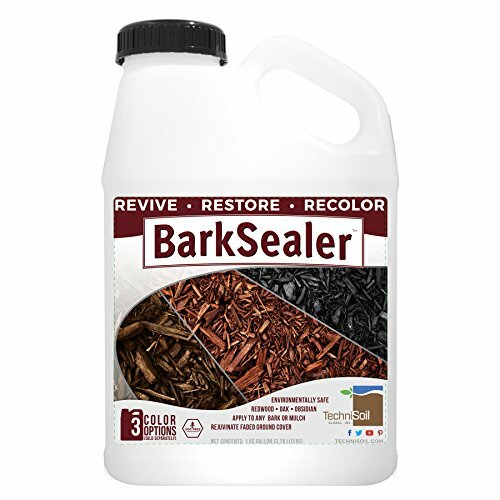 Coverage rates up to 300 ft2/gallon | BarkSealer enhances and preserves the natural color of bark and mulch products with an eco-friendly, VOC-free, and easily applied nano-polymer sealing technology. BarkSealer defends against UV ray and weather degradation to the natural appearance of bark and mulch products with a protective coating that can be applied to any bark or mulch product. Application is fast, simple, and safe for the landscaped environment. If you have any questions about this product by TechniSoil, contact us by completing and submitting the form below. If you are looking for a specif part number, please include it with your message.